The Apple Watch has attracted some of fashion's biggest names to its one-day-only showing at Parisian boutique Colette, with industry icons like Anna Wintour and Karl Lagerfeld turning up to get a look at Apple's long-awaited foray into the wearable device market. Wintour —the infamous editor of Vogue and arguably the most powerful person in fashion —and Chanel creative chief Lagerfeld were given a personal introduction to the Apple Watch by Apple design czar Jony Ive and Marc Newson, the latest addition to Cupertino's industrial design team. Newson's is a more familiar name in fashion circles than Ive's, thanks to the former's stint designing timepieces under the banner of Swiss watchmaker Ikepod. Newson officially joined Apple earlier this month, and his presence in Paris seems to confirm that he was intimately involved with the Apple Watch's design process. Tuesday's showing, which coincides with Paris Fashion Week, marks the first time Apple's newest product has been shown to the general public. 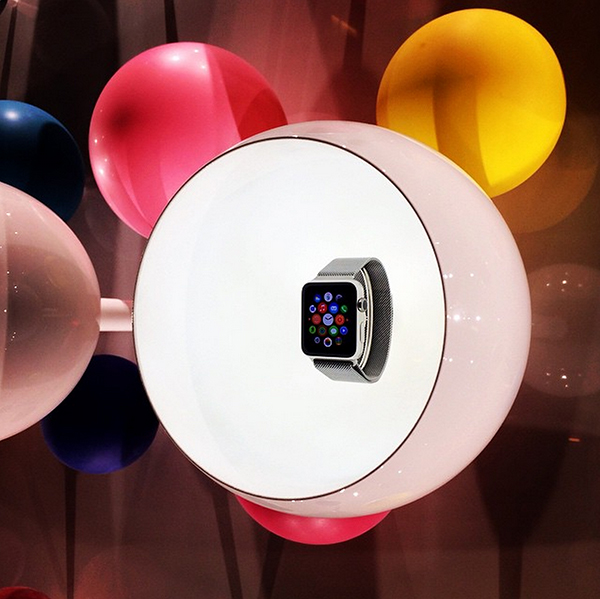 The choice of Colette— one of the trendiest shops in Paris, the epicenter of fashion— is unsurprising, given Apple's deliberate positioning of the Apple Watch as a fashion accessory, rather than strictly as an electronic device. During a review of the Apple Watch, well-known horological blogger Ariel Adams hinted that Apple might expand distribution of the Apple Watch to include high-end department stores and boutiques. While the Apple Watch Sport is made of aluminum and will ship with a plastic-like band for around $350, the Apple Watch Edition is made of 18-karat gold. Apple has yet to reveal pricing for the higher-end model, but some estimates have placed its final retail cost at as much as $5,000 —a total that would place it in direct competition with traditional timepieces from brands like Rolex and Omega.